211 Connecting Point is partnering with the County of Nevada to help residents stay informed in the event of a local emergency. 211 will now be assisting callers to sign up for the county’s CodeRED emergency alert system. Code RED notifies subscribed residents when an emergency is happening in their neighborhood. Residents can register their landlines, cell phone, and email to CodeRED and will recieve alerts by phone, text or SMS, and email, depending on their preferences. Nevada County residents can dial 2-1-1 (or 1-844-319-4119) to be connected to a 211 representative who will guide them through the CodeRED registration process over the phone or answer any questions they may have. 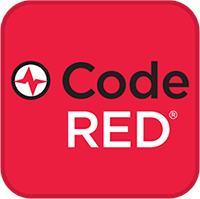 OES recommends signing up all phone numbers associated with your home address so that everyone recieves a CodeRED alert during an emergency in your neighborhood.